I am available for gigs at parties, churches, weddings, orchestras, etc. I provide classical music entertainment. I am available as a soloist and chamber musician for a range of venues. Kelsey Paquin is a second year master’s student at UNC-Greensboro. A native of New Jersey, she began playing clarinet at the age of eight, and went on to attend the Manhattan School of Music Pre-College Program, where she studied with Miriam Lockhart and Pascal Archer. During her undergraduate studies, Kelsey briefly lived in Milan, Italy, where she studied at Il Conservatorio Giuseppe Verdi with Luigi Magistrelli and performed at Casa Verdi. She earned her Bachelor of Music degree from Ithaca College, where she studied under Michael Galvan. She currently studies with Dr. Anthony Taylor and is a former student of Dr. Kelly Burke. 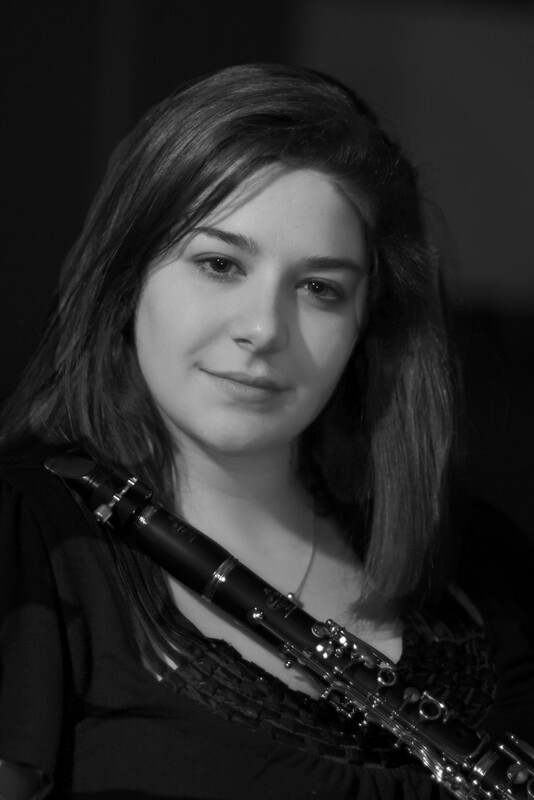 In 2015, Kelsey won the grand prize in the UNC-Greensboro Student Artist Competition and appeared as a soloist with the UNC-Greensboro Wind Ensemble. Kelsey performs as Co-Principal of the UNCG Wind Ensemble, and as a member of the UNCG Symphony Orchestra and Gate City Winds. This summer she will be touring with the American Wind Symphony Orchestra. I can provide the music and music stand, if needed. All I need is enough light to see the music! A set list can be discussed between the client and I.